YouTube - This episode of Reptile Mountain is all about preparing for baby blue tongue skink season when all the pregnant momma skinks give birth. Being ready before the litters drop is a priceless feeling. This video is shows how TC Houston gets ready for the little skinklets. Bluetongueskinks.net - Take a look at the seventeen baby blue tongue skinks that a female just gave birth to. That’s a lot of babies! 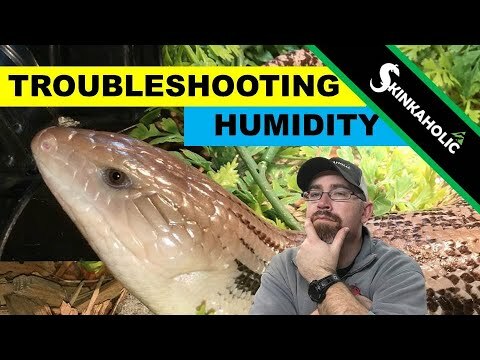 YouTube - Reptile Mountain goes over the fundamentals of humidity and some common tricks to troubleshoot humidity for tropical blue tongue skinks and most other reptiles. RedtailBoa.net - Take a look at these adorable little baby water skinks. Reptiles Canada - Clint of Gecko Hill shows off some pictures of his Hemisphaeriodon gerrardi babies, a species not often produced or seen in captivity.